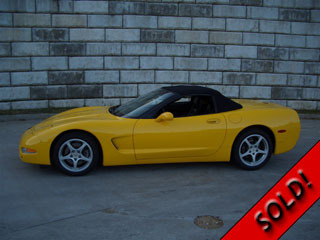 This is a listing of our currently available Corvettes. 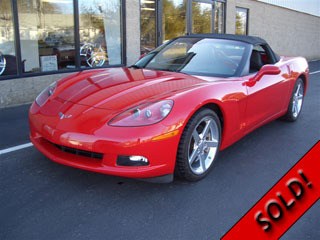 All our vettes are inspected & serviced by our Certified GM ASE Techs. If you have any questions, feel free to call us, or use our online inquiry form. 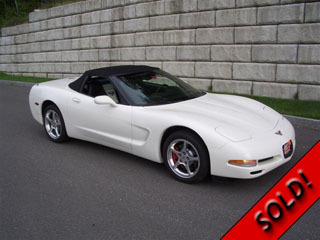 Vette Comes Complete With Both Fobs, Two Keys, Owners Books, CD, DVD & A Clean CarFax. ASE certified techs before being displayed. With Matching Cashmere Power Soft Top. Both Paint And Interior Are In Excellent Condition. One Of The Most Popular Color Combos Out There. 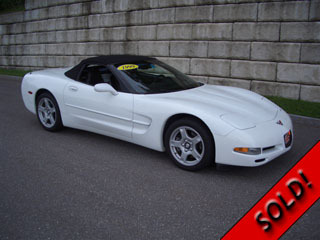 Like New Pristine Showroom Condition Inside & Out. Adult Owned Never Smoked In Drives Like New. 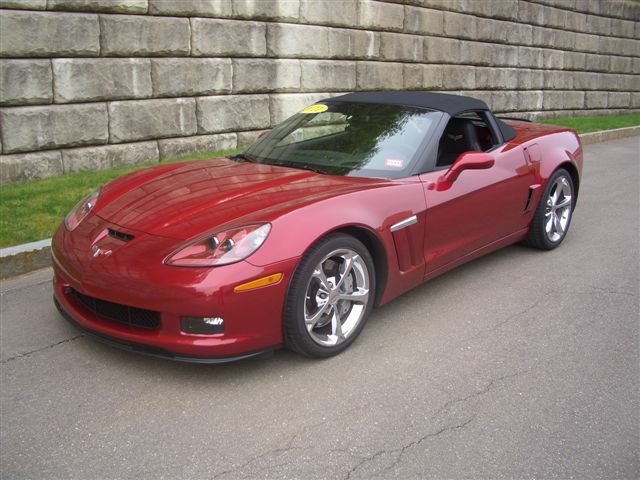 Attractive Color Combo, One Of Only 228 Torch Red Grand Sport Convertibles Built In Torch Red. Stored in Our Heated Facility In The Off Season. CD, DVD Nav Map And A Clean CarFax. Heated Rear Window Glass And Mirrors. 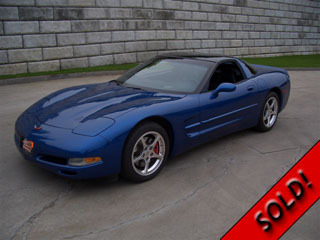 All our vettes are inspected and serviced by our ASE GM certified techs before being displayed. Pristine Showroom Condition Inside And Out. Adult Owned, Never Smoked In, Always Garaged. and The Factory Window Sticker. Heavily Optioned Grand Sport 100th Edition. Very Good Condition In And Out. Great Driver. A Heated Garage In The Off Season. 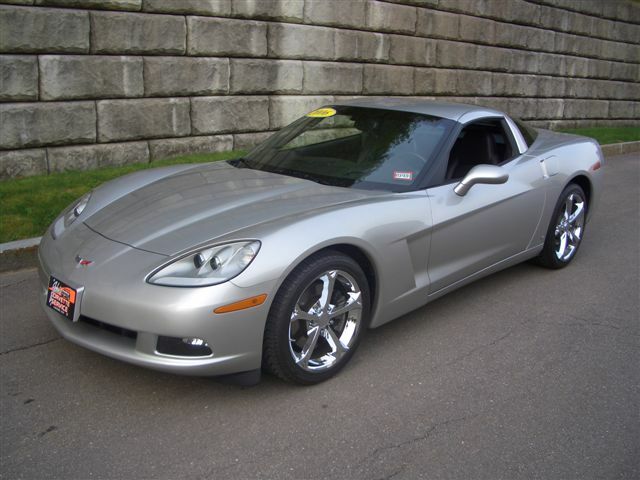 optioned including Head Up Display and 6-Speed Manual Transmission and Select Ride Shock Damping. Only two adult owners and garage kept. Both interior and exterior are in excellent condition. 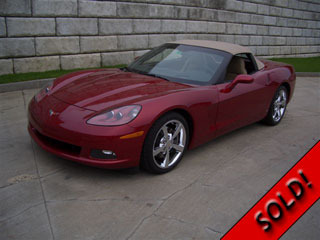 w/ Cahmere Leather Interior w/ Manual Cloth Convertible Top. Both Exterior And Interior Are In Very Good Condition. Adult Owned And Driven, Never Smoked In. Stored In The Off Season in A Heated Garage. Adult Driven, Non Smoker And Garage Kept. 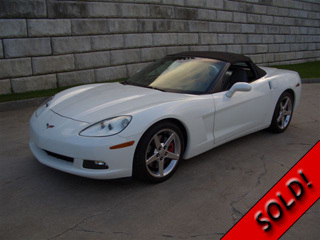 Just In... An Excellent Fully Optioned White Z51 Convertible. Adult Owned And Driven And Never Smoked in. Both Paint And Interior Are In Excellent Showroom Condition. sticker, and a clean CarFax. 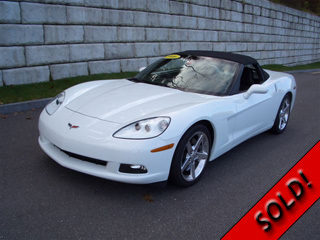 Loaded Low Mileage Arctic White Convertible. Paint And The Interior Are In Excellent Condition. Owners Books, CD, DVD & A Clean CarFax. and Specific 6-Speed Manual Gear Ratios. 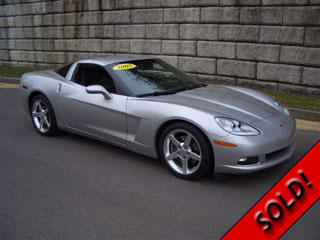 Fully Optioned Pewter Metallic Coupe Includes The F45 Package And 3:15 Axle Ratio. 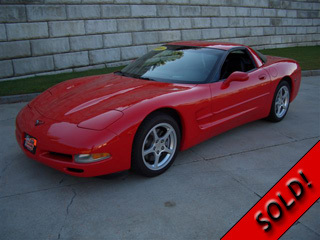 Adult Driven And Never Smoked In.Both The Paint And The Interior Are In Excellent Condition. 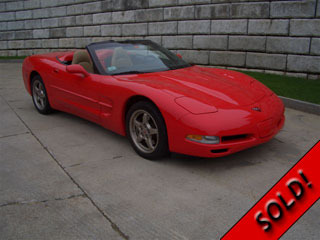 This Red Convertible w/ 6-Speed Manual Transmission Is In Excellent Condition And Adult Owned.Both The Exterior And Interior Are In Excellent Condition. 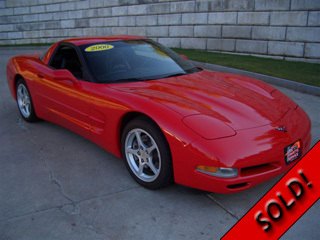 Before being displayed,all our vettes are serviced and inspected by our GM ASE certified techs. One Of The Most Popular Combos Out There. 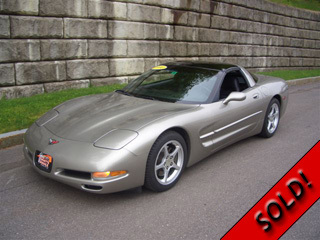 Like New Pristine Showroom Condition Inside & Out. Adult Owned Never Smoked In. 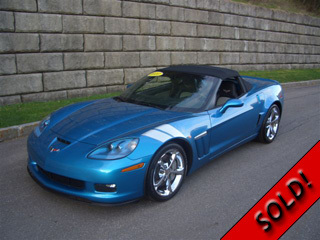 This Excellent 2011 Grand Sport Convertible Won't Last Long. 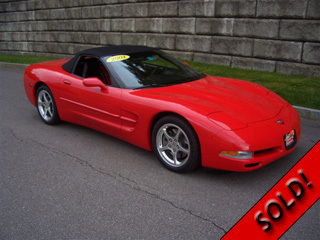 Like New Pristine Showroom Condition Inside And Out. Adult Owned, Never Smoked In, And Stored In Our Heated Facility. w/ Cashmere/Ebony Leather Interior And Matching Cashmere Power Top. Both Paint And Interior Are In Excellent Showroom Condition. Adult Driven And Never Smoked In Stored In The Off Season In A Heated Facility. 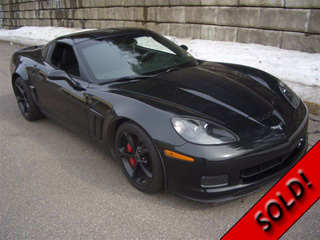 Just In...Fully Optioned Black Coupe Includes The Z51 Performance Package w/ 3:42 Axle Ratio Adult Driven Non Smoker And Stored In Our Heated Facility In The Off Season. Just In...Another Excellent Example Of A Fully Loaded Low Mileage Quicksilver Convertible. Adult Owned And Driven. Both The Exterior And Interior Are In Excellent Condition. Owners Books, And A Clean CarFax. Always Garaged, Never Smoked In.Looks And Drives Like new. 6-speed Manual Transmission, (3:42) Rear Axle Ratio. Adult Driven, Non Smoker And Garage Kept. Both Interior And Exterior Are In Excellent Condition. 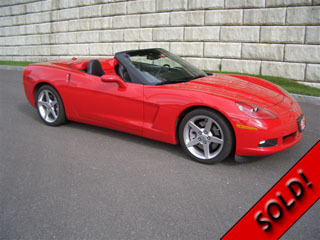 Fully Optioned 2004 Torch Red Convertible Includes The F55 Package w/3:42 Axle Ratio. 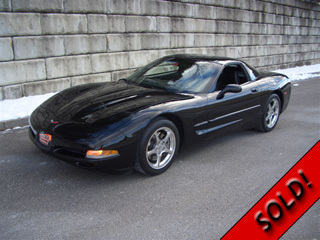 This Vette Was Adult Driven And Stored In The Off Season In A Heated Facility. Books, Window Sticker And A Clean CarFax. 6-Speed Manual Only 5,000 Miles! 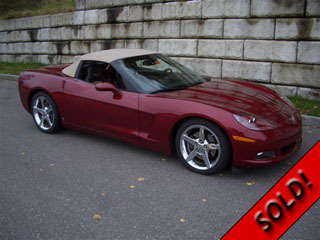 This Excellent 2005 Convertible Won't Last Long. 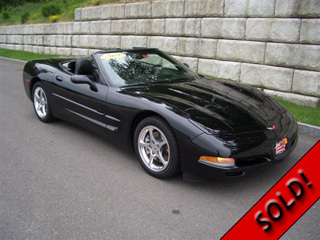 Heavily Optioned 2005 Black Convertible Includes The F55 Package w/ 3:15 Axle Ratio This Vette Was Adult Driven And Stored In The Off Season In A Heated Facility. 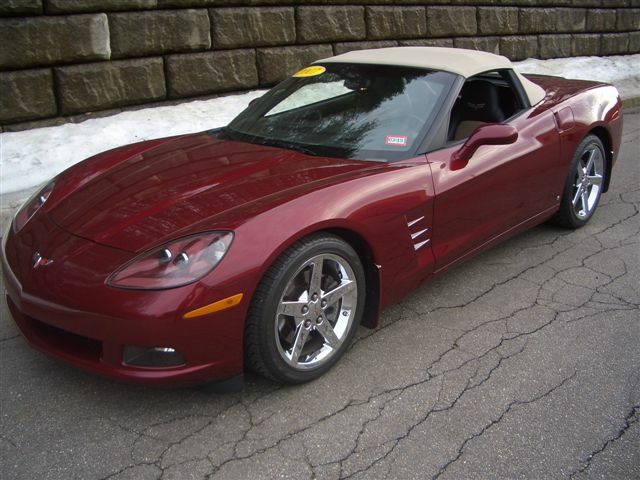 Stunning Color Combo In Crystal Red Metallic w/ Kalahari Leather Interior and Matching Kalahari Cloth Soft Top. Both Paint And Interior Are In Showroom Condition. Adult Driven And Never Smoked In. Stored In The Off Season In Our Heated Facility. All Owners Books, Warranty Papers, Window Sticker, And A Clean CarFax. 1SC package. Adult driven and never smoked in. Both paint and interior are in showroom condition. by our in house ASE GM certified techs. 6-Speed Manual Only 15,950 Miles! Off-Season In Our Heated Facility. In The Off Season In Our Heated Facility. New Michelin Tires Recently Installed Car Comes Complete w/ Both Fobs, Two keys, Owners Book And A Clean CarFax. New Michelin Tires Recently Installed. Owners Book And A Clean CarFax. GM ASE certified techs before being displayed. 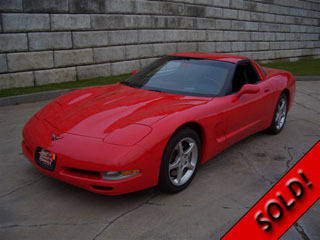 2002 Corvette 1SC Coupe w/ Only 17,000 Miles! 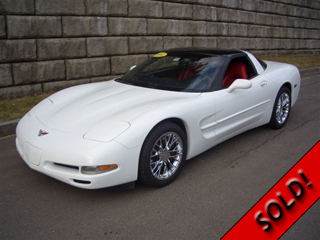 Just In...Another Excellent Example Of A Heavily Optioned Low Mileage Speedway White 1SC Coupe. Adult Driven And Never Smoked In. Both The Paint And Interior Are In Factory Showroom Condition. Stored In Our Indoor Heated Storage Facility In The Off-Seasons. 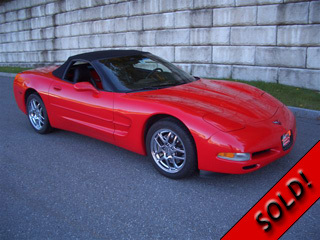 Vette Comes Complete With Both Fobs, Two Keys, All Owners Books, Warranty Papers, And A Clean CarFax. Owners Books, Factory Window Sticker And A Clean CarFax. 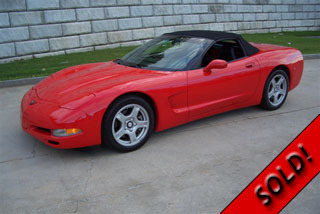 All Our vettes are inspected and serviced by our GM ASE certified techs before being displayed. The Off Season In Our Heated Facility. Owners Books, VHS Tape, And A Clean CarFax. Always Serviced By Our Techs At The End of Every Season Since New And Stored On Site In Our Heated Facility. being displayed by our certified GM ASE techs. 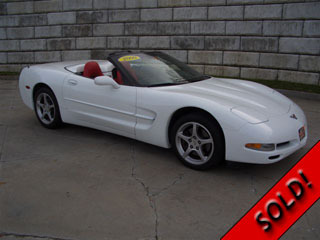 This Beautiful 1999 Arctic White Convertible is heavily optioned including Head Up Display and Automatic Transmission w/G92 (3:15) rear axle ratio. 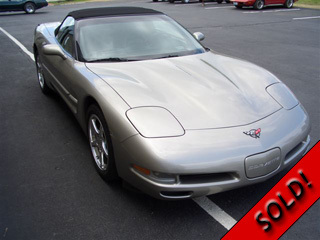 Both exterior and the interior are in excellent condition. 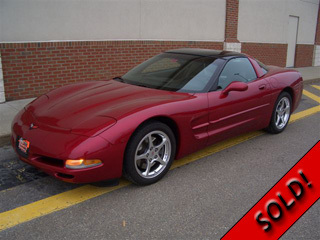 All Our Vettes Are Inspected And Serviced Before Being Displayed By Our Certified ASE GM Techs. 6-Speed Automatic ONLY 9,000 MILES! Goodyear F1 Supercar EMT Tires. 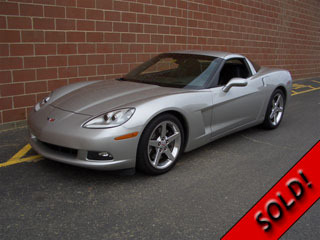 Automatic Transmission w/ Only 16,000 Miles! 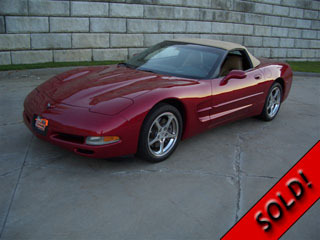 Leather Interior w/ Matching Cloth Soft Top. 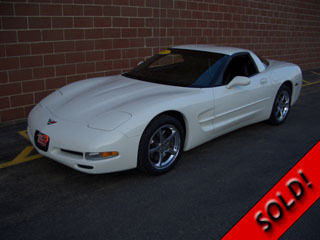 Both Paint And Interior Are Excellent Condition. Adult Driven,Non Smoker And Garage Kept. Pristine Condition Inside And Out. 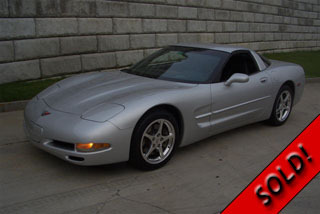 Vette Is Painted In Silver w/ Red Leather Interior With A Black Soft Top, And Automatic Transmission. 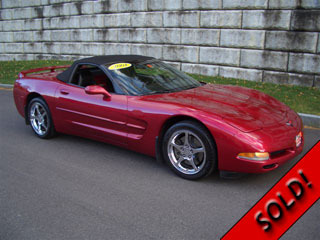 John Personally Purchased This Vette From The Original Owner In August 2006 And Was Sold To The Second Owner In Sept. Of 2006. 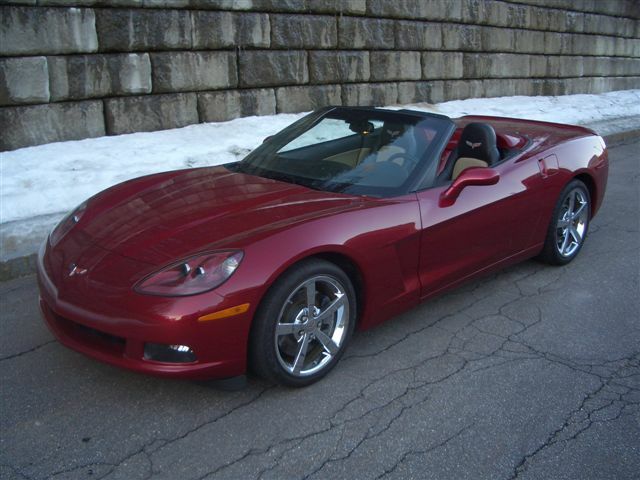 Vette Has Been Serviced By Johns Vette And Stored In The Off Season In Our Heated Facility. And A Clean Updated CarFax. 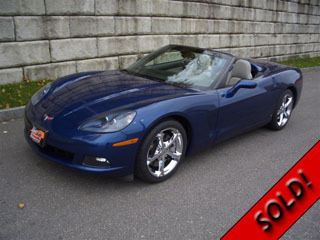 2009 Corvette Convertible w/ Only 17,000 Miles! 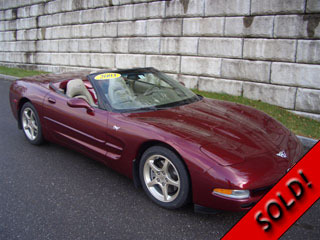 w/ Cashmere Leather Interior and Matching Power Top. 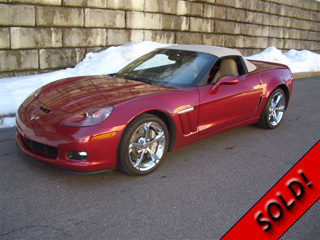 This One Won't Last Very Long, Pristine Factory Condition Inside and Out. Interior Are In Excellent Condition. And Is In Excellent Condition Inside & Out. 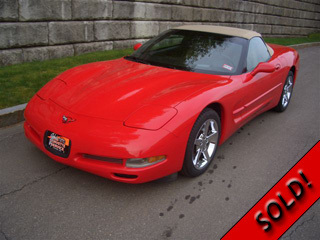 This Beautiful 2004 Torch Red Coupe Is Fully Optioned. 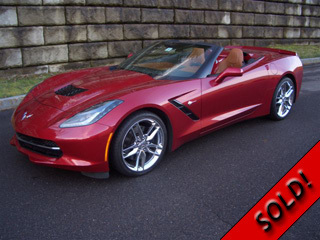 Includes The Z51 Package w/ 3:42 Axle Ratio& Dual Roof Panels. Both Exterior And Interior Are In Excellent Condition. 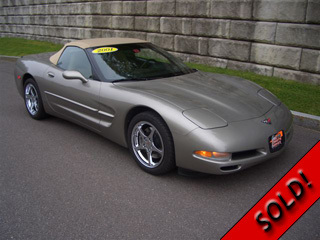 This beautiful 2000 Pewter Coupe Is Fully Optioned. 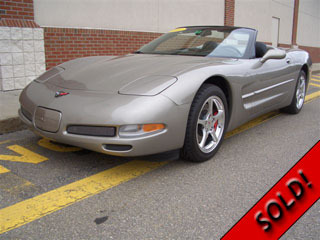 Including The Z51 Package w/ 3:15 Axle Ratio & Dual Roof Panels Both Exterior & Interior Are in Excellent Condition. 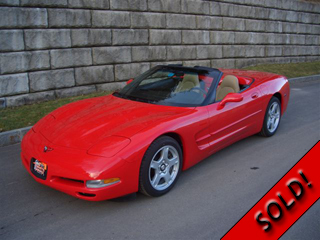 This Beautiful 2000 Torch Red Convertible Is Heavily Optioned Including Head-Up Display And 6-Speed Manual Transmission,(3:42) Rear Axle Ratio. Adult Driven, Non smoker And Garage kept. Both Exterior And Interior Are In Excellent Condition. This Torch Red 2001 Won't Last Very Long. Excellent Condition Inside & Out. 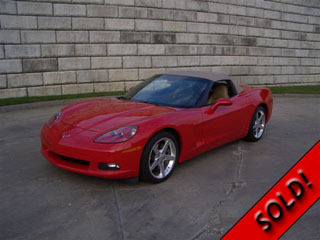 Adult Owned And Maintained By Johns Corvette Service On A Yearly Schedule. Car comes complete with both keys, two fobs, owners books and a clean CarFax. 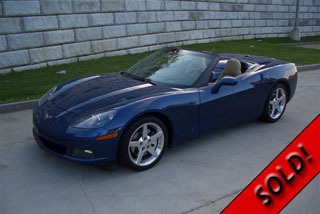 Stunning Color Combo In LeMans Blue w/ Titanium Gray Interior And Black Power Soft Top. Owners Books, CD, DVD, & A Clean CarFax. Power Convertible Top, and Cargo Parcel Net. 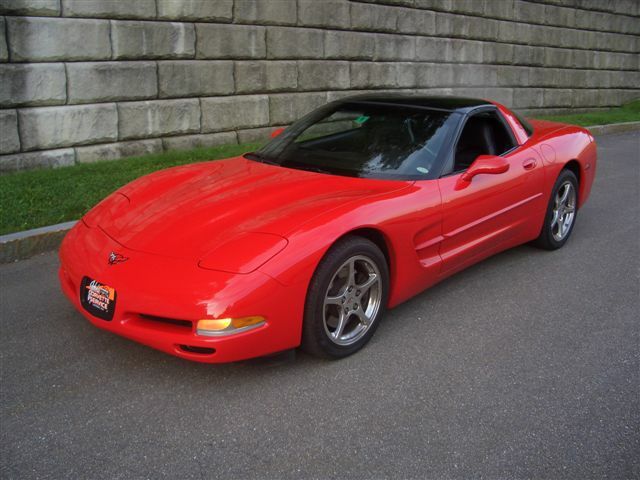 2000 Corvette Coupe w/ Only 34,000 Miles! 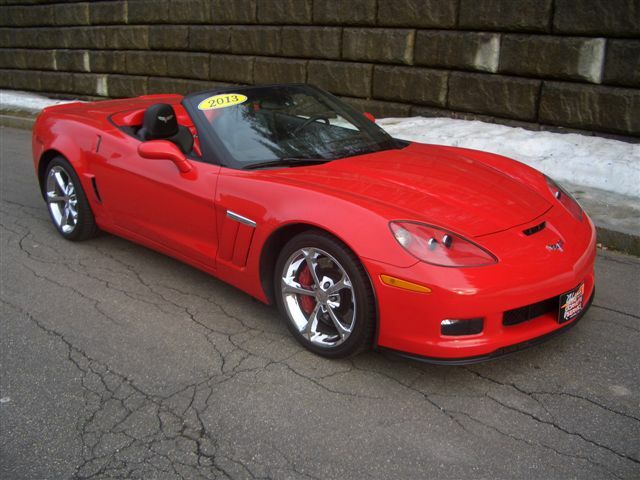 Optioned Low Mileage Torch Red Coupe. Adult Driven And Never Smoked In. 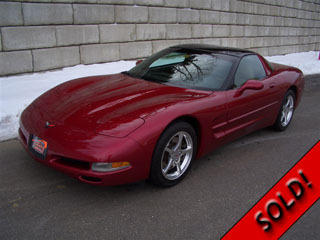 Both The Paint and The Interior are in Excellent Condition. G92 Performance Axle 3:15 Ratio. 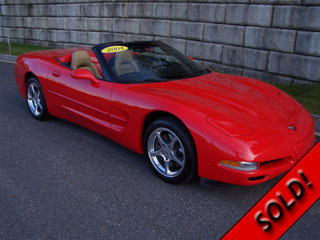 This vette comes with both keys, two fobs, owners books and a clean CarFax. 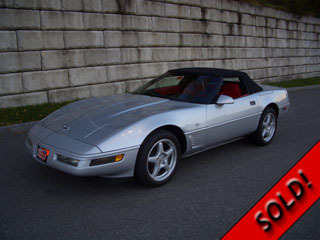 This attractive 1998 convertible won't last very long. 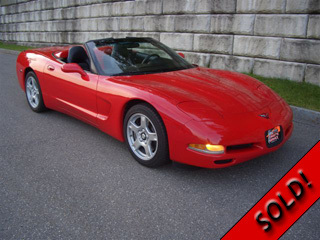 Vette comes complete with both keys, two fobs, owners book, and a clean Carfax. Borla Touring Mufflers "Mild Sound"
Comes complete with both fobs, two keys, all owners books, CD, DVD, warranty papers, and a clean CarFax. 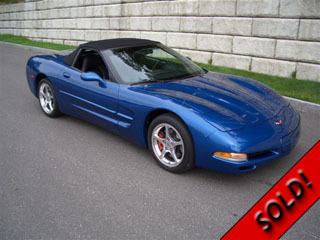 2002 Corvette Convertible w/ Only 22,000 Miles! 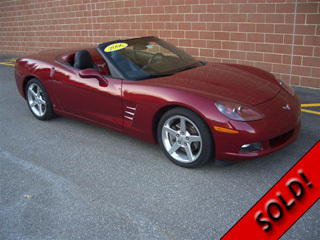 Just In...Another Heavily Optioned Low Mileage Magnetic Red Convertible. This One Is A Two Owner w/ Light Oak Interior And Light Oak Top. Comes Complete w/ Both Fobs, Two Keys, Owners Books, And A Clean CarFax. Including The Z51 Package w /3:15 Axle Ratio. 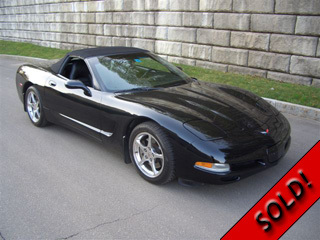 Heavily Optioned Black Coupe w/ Ebony Leather Interior, and Equipped with the Z51 and The 1SB Packages, Adult Driven And Never Smoked In. owners books, CD, DVD, and a clean CarFax. 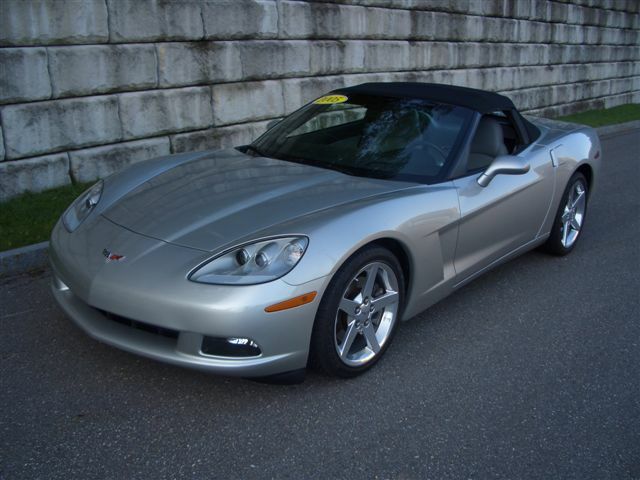 Heavily Optioned In Machine Silver Metallic w/ Ebony Leather Interior, and Equipped With The Z51 and The 3LT Package. Adult Driven And Never Smoked In. 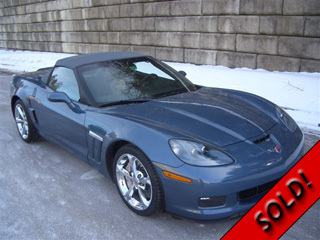 This Vette Has Been Stored In The Off Season In Our Heated Storage Facility, and Recently Serviced For The Season By Our ASE GM Certified Techs. all owners books, and a clean CarFax. Comes Complete With Both Fobs, Two Keys, Owners Books. Always Garaged, Never Smoked In. CarFax Certified. Looks And Drives Like New. 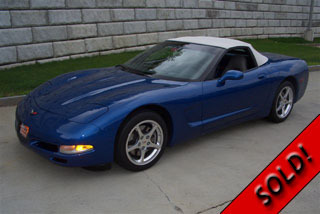 2002 Corvette Convertible With Only 7,500 Miles! 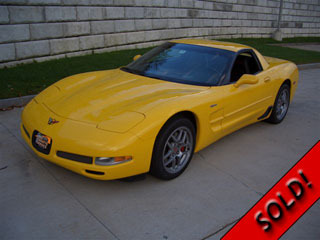 This Gorgeous 2002 Yellow Convertible Is Fully Optioned Including Head-Up Display And 6-Speed Manual Transmission, w/ Select Ride Ride Damping. Only One Owner, Heated Garage Kept, Non Smoker. Both Interior And Exterior Are In Excellent Condition. 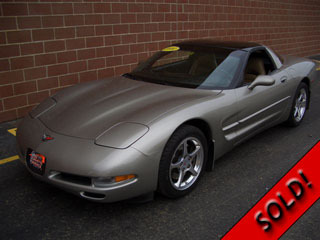 2001 Corvette Z51 Coupe w/ only 26,000 Miles! Including The Z51 Package w/ 3:15 Axle Ratio. Both Exterior & Interior Are In Excellent Condition. 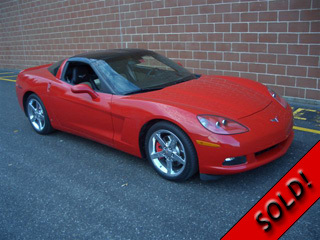 This vette comes complete with both keys, two fobs, owners book and a clean CarFax. 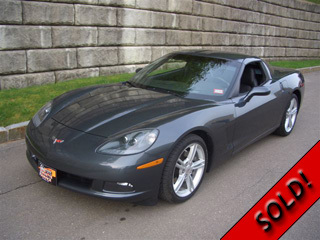 This Is A Stunning One Owner Fully Optioned Z06. Always Serviced By Our Techs At The End of Every Season Since New And Stored On Site In Our Heated Facility. 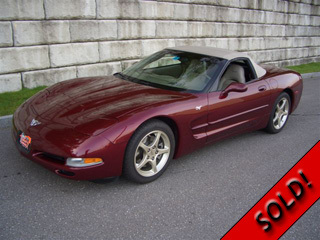 Both The Paint And Interior Are In Excellent Factory Condition. Adult Driven And Never Smoked In. 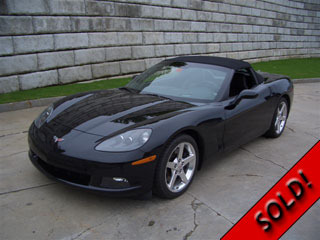 2005 Corvette Convertible w/ Only 15,700 Miles! Leather Interior and Matching Power Top. 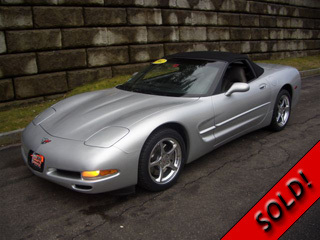 This Attractive 2002 Pewter Corvette Won't Last Very long. Pristine Condition Inside & Out. 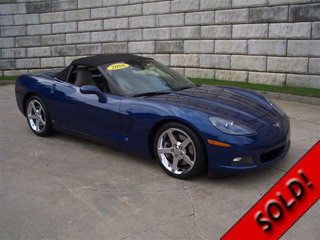 This Beautiful 2002 Electron Blue Is Fully Optioned Including The Z51 Package w/3:15 Axle Ratio. Both Exterior And Interior Are In Excellent Condition. 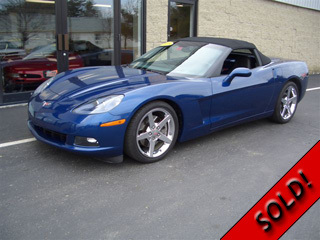 2005 Corvette Convertible w/ Only 22,900 Miles! 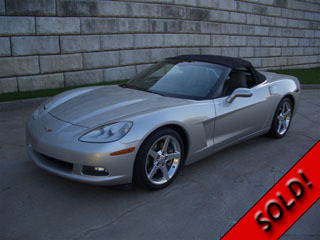 This Heavily Optioned Convertible Is In Excellent Condition Inside & Out. ALL owners books and CD, and a clean car fax. 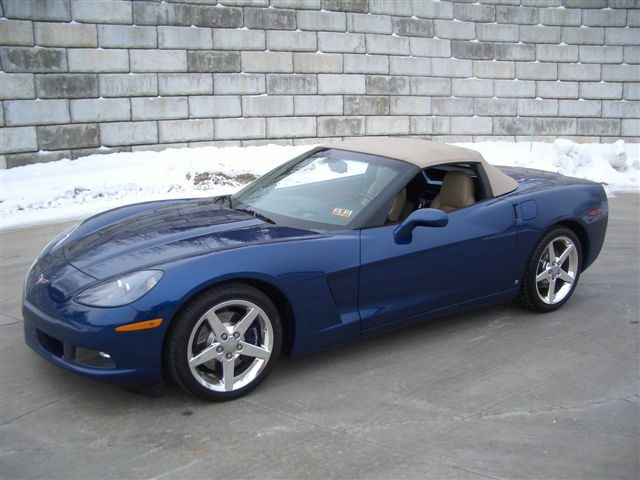 2004 Corvette Convertible w/Only 16,433 Miles! Exterior And Interior Are In Excellent Condition. 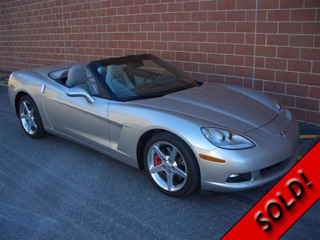 This vette comes complete with both keys, two fobs, owners books, and a clean Carfax. 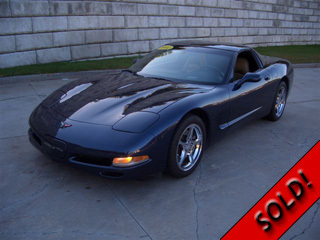 Corvette Coupe w/ Only 11,375 Miles! showroom condition including the sill plate area. owners books, warranty papers, window sticker, and a clean Carfax. 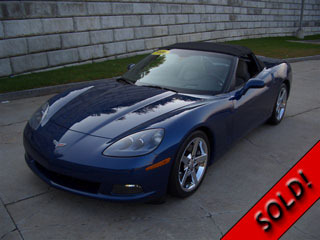 2005 Corvette Convertible w/ Only 13,900 Miles! 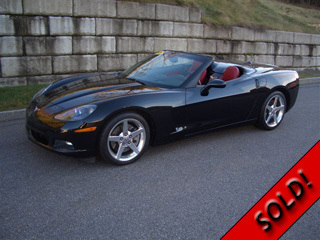 This fully optioned convertible is in excellent condition inside & out! Car comes complete with both fobs, two keys, all owners books, CD, DVD, and a clean CarFax. 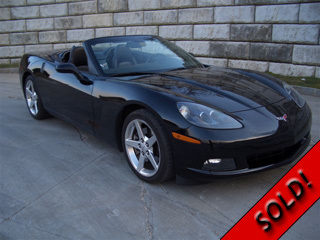 This Excellent 2001 Black Convertible is heavily optioned including Head Up Display and Automatic Transmission w/G92 (3:15) rear axle ratio. 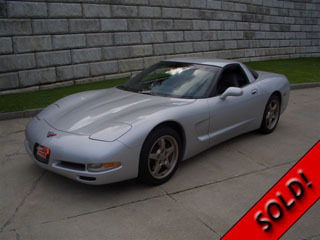 Both exterior and the interior are in excellent condition. two keys, fobs, owners book & a clean Car Fax. 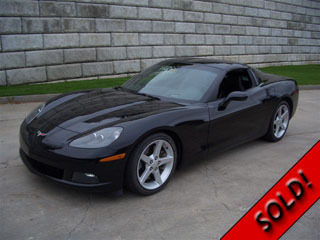 This is a stunning one owner fully optioned Z-06. and stored on site in our heated facility. factory condition. Adult driven and never smoked in. Wheels are like new with no curb rash. Car comes complete with both fobs, two keys, owners books, factory window sticker, and a clean Carfax. 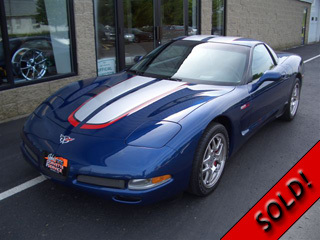 2004 Commemorative Z-06 with just 5,000 miles! 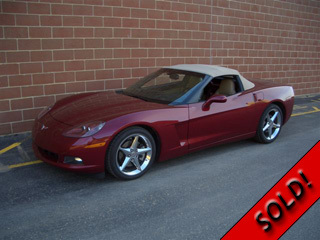 This attractive 2002 convertible won't last very long. Pristine condition inside & out! 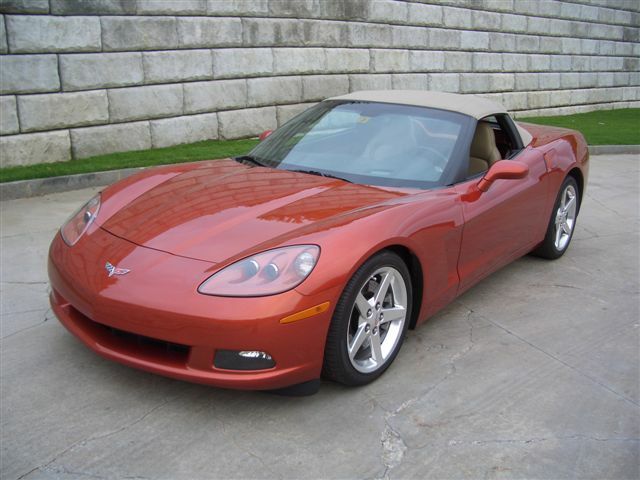 2005 Corvette Convertible w/Only 11,500 Miles! Not Smoked-In... And CarFax Certified. Looks and Drives as New. 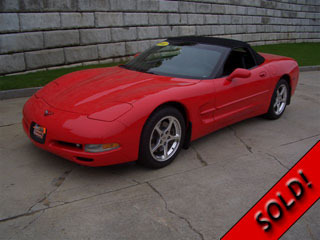 CLICK HERE TO SEE MORE PREVIOUSLY SOLD CORVETTES!